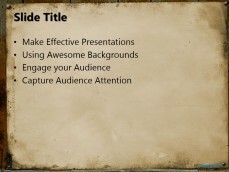 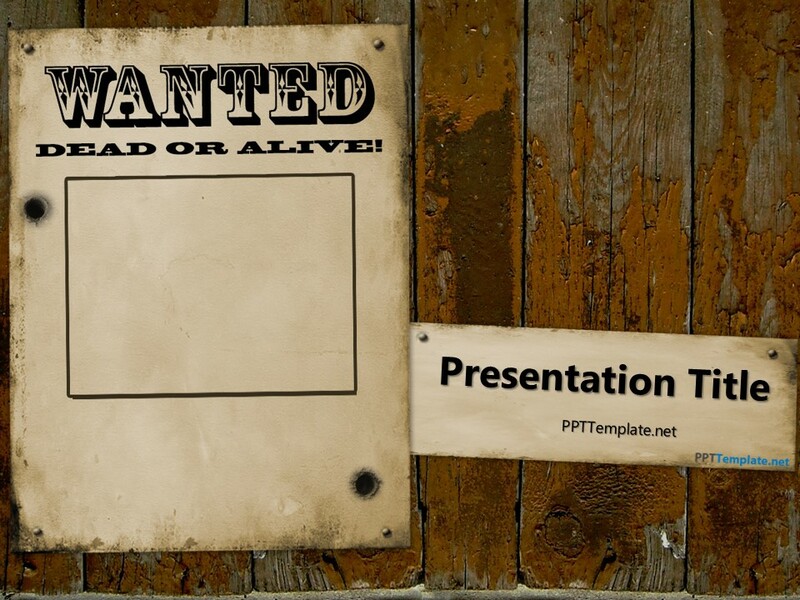 Free Wanted Template for PowerPoint has a Dead or Alive placeholder in the title slide. 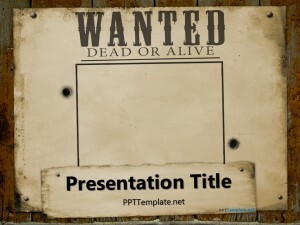 If you are looking for similar themes having the Cowboy look, do check out free Western Wanted PPT slides and the Wanted Poster free theme. 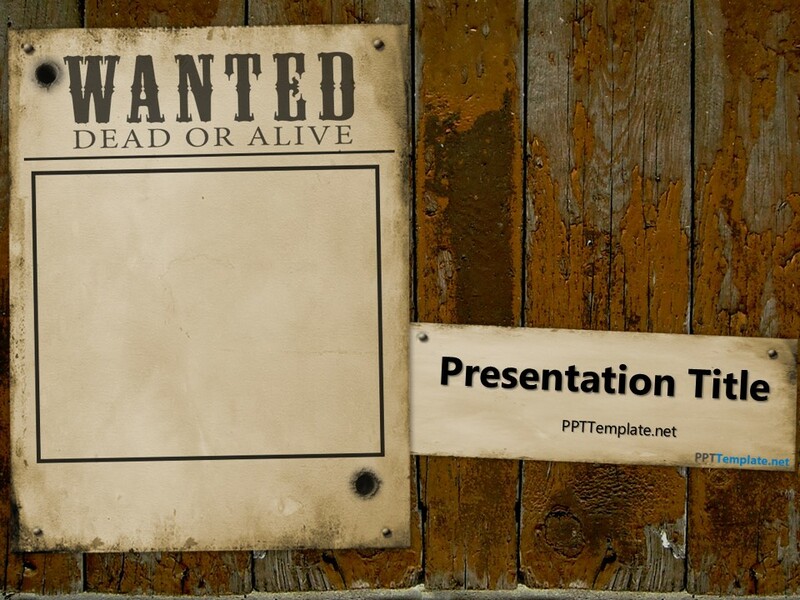 These are ideal if you are making a review for a Wild West video game, released on the Xbox 360 / Xbox One or the PS3 / PS4. 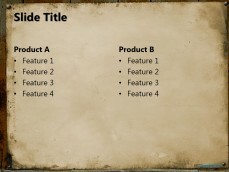 You might also be interested in making a review of a western style puzzle game. 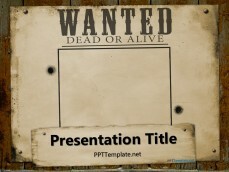 Share walkthroughs, tutorial, and much more with these free Entertainment PowerPoint backgrounds. 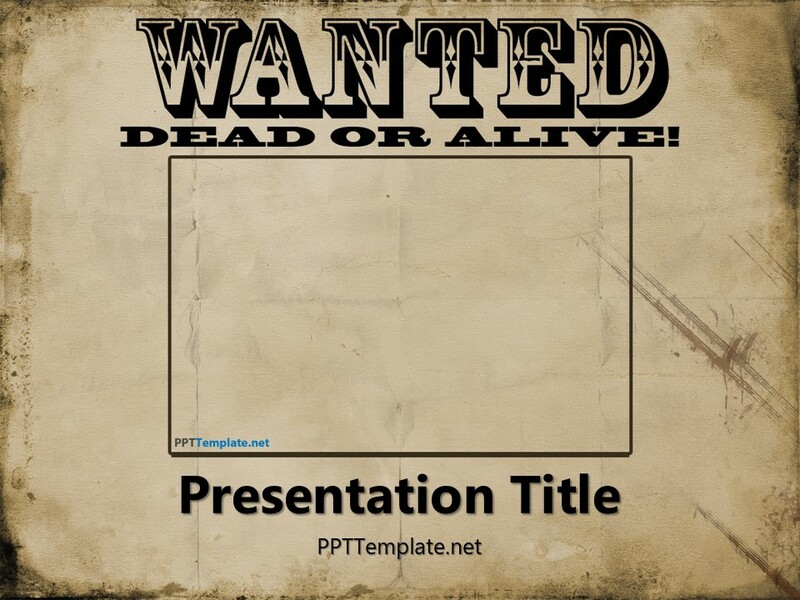 If you own a copy of Microsoft PowerPoint 2010, 2007 or a newer release, just try the free Wanted Template for PPT. 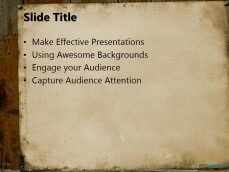 In case the computer you are currently using does not have the required software, just visit Google “PowerPoint Online” and access the online version for free.